honor is celebrating its third honor World Carnival this year, and in conjunction with this joyous milestone, it will be giving back to its Malaysian consumers through a rush buy sale event taking place only at VMALL.MY and Lazada. 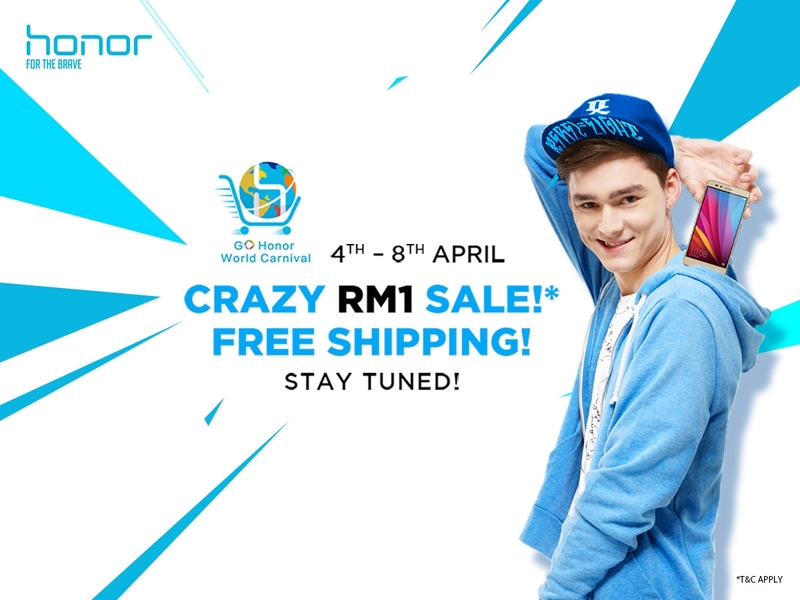 Great deals and promotions await fans with offers for select honor models such as the honor 5X and honor 7.
honor accessories such as casings for all models will also be on sale, and to enjoy these great deals, customers just need to look out for rush buys that will be commencing from 4th to 8th April, beginning at 10.08 am. To further sweeten the deal, Vmall together with honor’s partners from Lazada, KFit, Red Box and VuClip will be giving out vouchers in limited quantities. Fans can grab up to RM 120 worth of vouchers during the rush buy period. The icing on the cake comes on 8th April, where fans can use a RM 50 discount voucher from Vmall.my to enjoy a free selfie stick on a first-come-first-serve basis with every purchase of the honor 5X. Alternatively, they can also use the voucher to purchase the honor 7 together with the honor Band Z1 and a selfie stick for a bundle price of only RM 1,529. To top it all of, honor accessories will be up to 88% off on that special day. The honor 5X is honor’s latest smartphone, with a list of features comparable to flagship smartphones in the market. This includes a quad-core processor, a second generation frameless fingerprint sensor, 5.5-inch full HD IPS panel display, 3 different card slots (microSIM, nanoSIM, and microSD) built in, 16GB storage/2GB RAM, and a large 3000 mAh battery. Find out more in our comprehensive review!